Down Under and Over and the Outback. Many, many avid travelers have Australia & New Zealand on their bucket lists. Australia, being much larger and more cosmopolitan than New Zealand, offers an array of entertainment options. 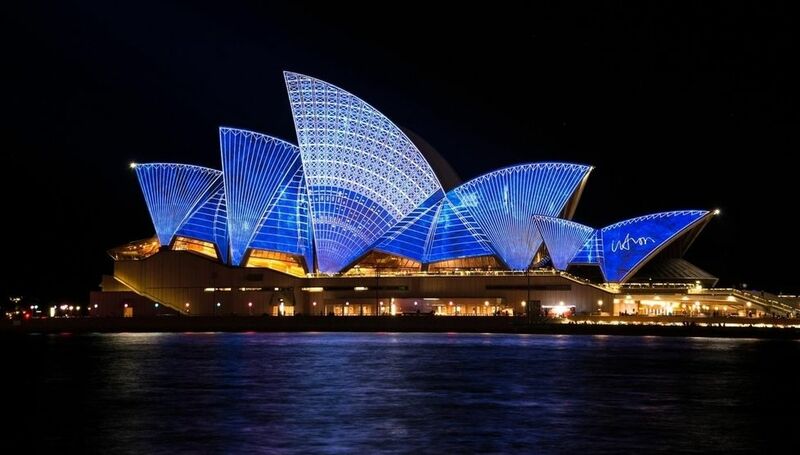 If you want to see Sydney’s Opera House, climb the Harbour Bridge or attend great theater, head to New South Wales or Victoria. Further north into Queensland, you can hike through the Daintree Rainforest or snorkel and scuba dive around the Great Barrier Reef. Although you don’t have to head to the famed Outback just to see koalas, there is an abundance of animals and magnificent rock formations there, and world-class surfing in Western Australia. Being an island nation, Australia’s largest cities are along coastlines. Travel between them would need to be by plane or ship, as the country is about the same size as the continental U.S. We can help you plan a cruise or a land-based tour, or offer advice on how much you can see during an independent self-driving tour. Travelers often combine visits to part of Australia with a trip to see New Zealand’s stunning landscape. Compared to Australia, New Zealand is smaller and more intimate. The manageable size allows for excursions to popular destinations in a shorter time frame. Stunning scenery and verdant natural vistas are popular reasons to visit New Zealand. The powerful grace of the South Island’s fjords and the immensity of the marvelous mountains offer some of the most unspoiled beauty in the world. Visit Christchurch or Queenstown and take a trip to the Franz Josef glacier and fjords on the western coast. The 3.5-hour ferry ride between the North and South Islands is a wonderful way to see spectacular scenery. The North Island, where the capital city of Wellington is found, is the more cosmopolitan island. The cities are sophisticated, yet still a manageable size, and there are plenty of opportunities for outdoor experiences. Winery tours, biking, hiking, viewing volcanoes and the countryside are all North Island favorites. And don’t forget to tour the Hobbiton movie set! Self-driving is an easy way to get around and you can find luxury hotels, budget accommodations, and everything in between. Unforgettable Trips would love to help you plan your journey. We can recommend cruises, tours, or help you create your own itinerary, ferry-hopping between the islands.